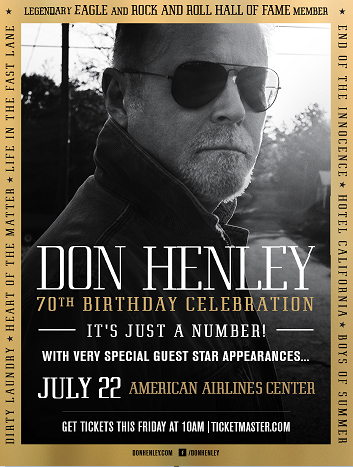 Bid now to enjoy a private suite at Don Henley's special 70th birthday concert on July 22nd in Dallas, Texas at American Airlines Center! Your suite is able to accommodate up to 18 people for this concert and with the suite package you will receive 4 VIP parking passes and a $500 food and beverage allowance! Your bid supports the Caddo Lake Institute.